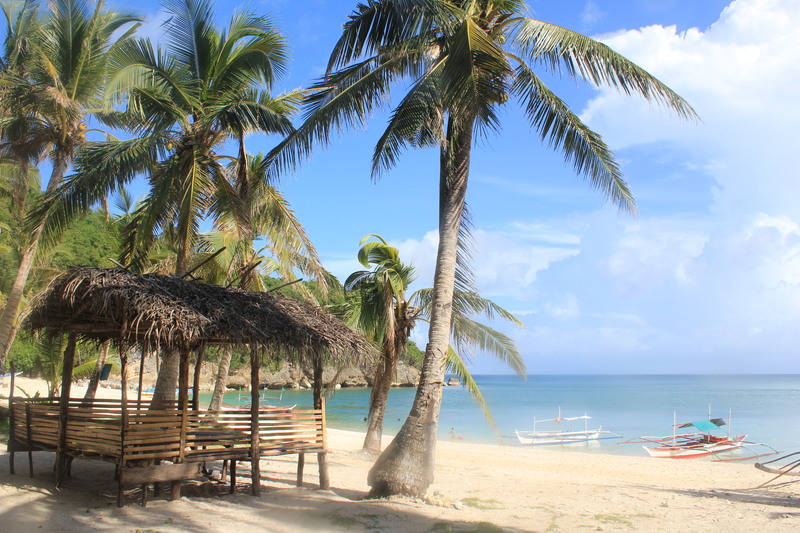 Puting Buhangin, which literally means “white sand”, is located on Paglibao Grande Island, on the southwestern side of the island. The area is also known as Kuwebang Lampas however, Kuwebang Lampas is also the name of the cave there. From what I understand, this section of the island is a privately owned beach but is open to the public for day trips. All this with driving distance of Metro Manila. 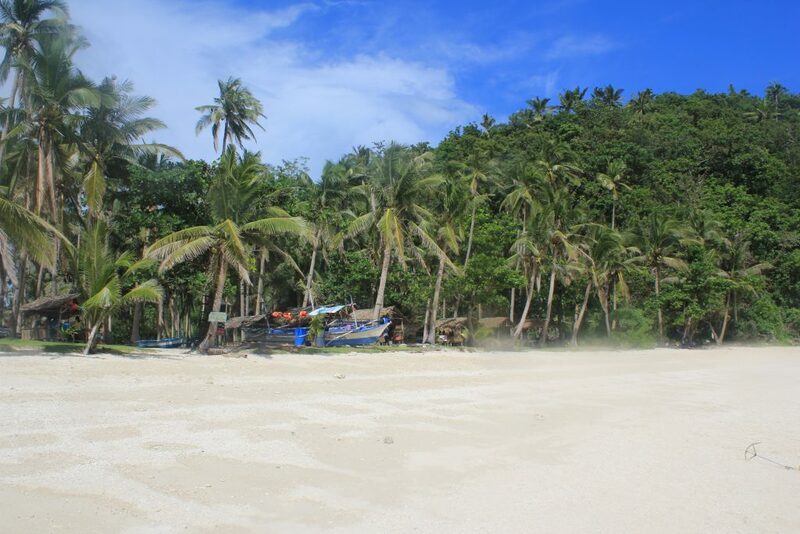 As our boat pulled in, I was really surprised by how white the sand was compared to Borawan, it was amazing. By this time of the day, it was very hot, so we decided to have a swim in the soothing clear water, without worrying about the jellyfish of Borawan. It really was a magical place to take in the tranquillity of the surrounds. The beach is only a few hundred metres long, so it was a little more intimate than Borawan, and felt a lot cosier. 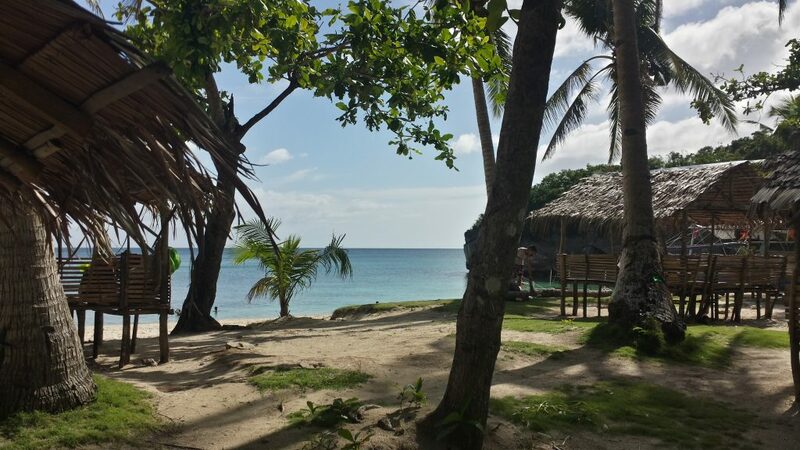 There were a few more locals here than at Borawan, all sitting around in the nipa huts that dotted the beach having picnics and “tugay” (shots of alcohol). Naturally, we obliged with the friendly locals by joining in for a couple of shots – it would be rude not to, after all. 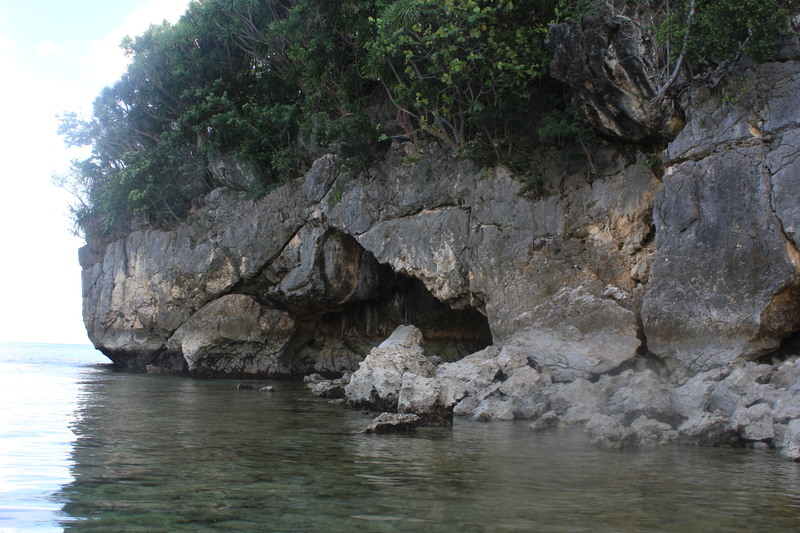 There is also a cave to the left of the cove (Kuwebang Lampas) set amongst the limestone karsts, which we didn’t have the chance to explore, as the entrance was very rocky and looked a little unsafe at low tide. However, according to the locals, it’s quite safe so maybe next time we will check it out. It looks pretty amazing from what I have seen. A view of the beach at Puting Buhangin as the boat pulled up to Paglibao Grande Island. An ideal setting with the calm waters gently lapping against the boats docked at the beach. Imagine chilling in one of these little huts for the afternoon? I wish I could’ve stayed there for a week! Sensational view looking southwards with the sun beginning to lower itself. Still can’t believe this is only a few hours’ drive from Manila! 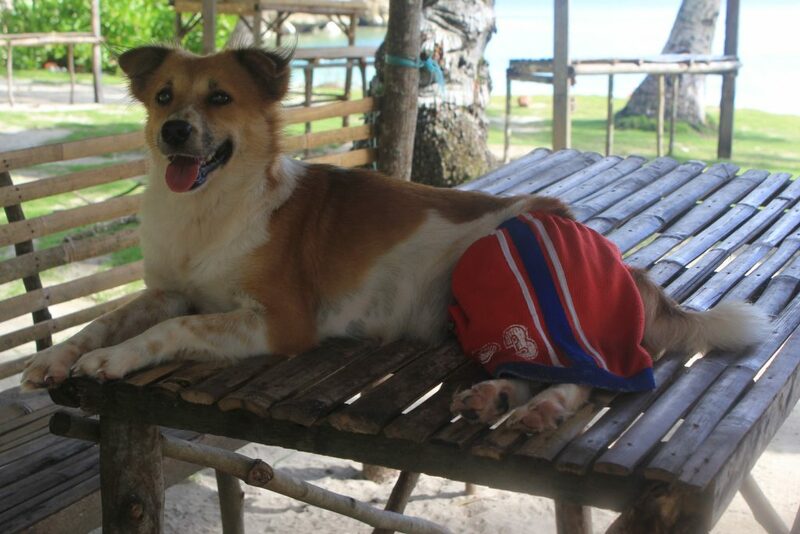 One of the locals enjoying the views and serenity of the beach. What better way to spend the day, even if you have four legs! A closer look at the mouth of Kuwebang Lampas cave which has a very rocky entrance and should be approached with caution. My suggestion would be to head down from Manila aiming to arrive around midday at The Tamarind Tree Resort, chill out there for the afternoon, then head out first thing the next morning on the boat, and then head back to Manila that night. 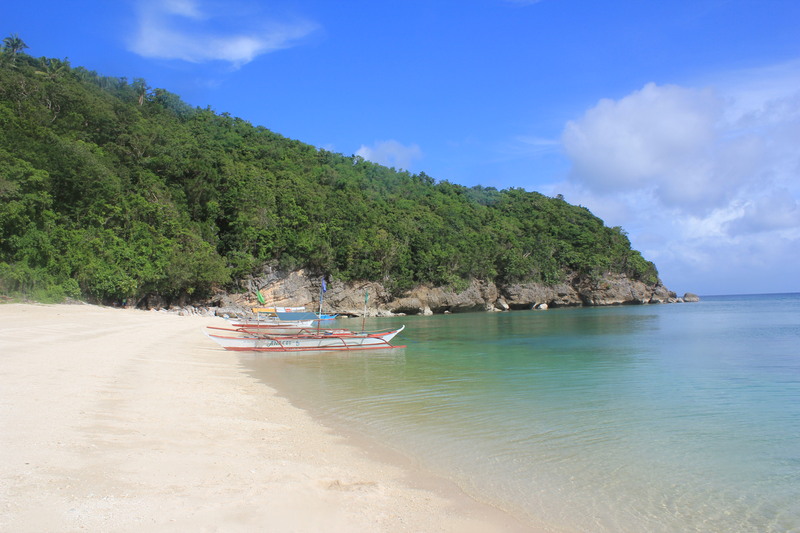 You can do Borawan, Puting Buhangin and Dampalitan Island all in one day.